Bitcoin’s recent price pump brought the market to highs not seen in well over a year. However, with a little over a week having passed since then, these are the 10 best altcoins from the top 100 that have managed to keep the momentum going. Read more: Why is Bitcoin pumping today? VestChain narrowly makes the list, sitting at 98th position according to CoinMarketCap. The project has shown astronomical growth over the last seven days, nearly doubling its valuation. There have been no major announcements or breakthroughs released on the project's Twitter page. The most recent news to come from VestChain is their attendance at the upcoming Crypto Invest Summit held in Los Angeles on April 9-10. 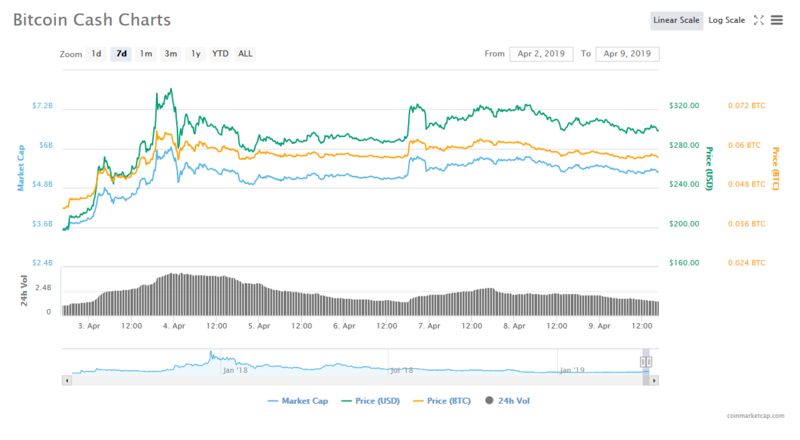 It seems likely that the coin’s surge was mainly due to the market’s upswing and excited investors. Whatever the reason though, VestChain has had a good week. Bitcoin Cash is the top 10’s biggest earner as well, soaring an eye-watering 89.66% over the course of the last week. During the market rally, Bitcoin Cash jumped over 60% in 24 hours and actually led the rally for some time, flippening Litecoin. Some other factors that may be relevant to BCH’s phenomenal performance would be the project’s growing popularity in Japan, the Simple Ledger Protocol tokens as well as the upcoming Schnorr signatures coming in the May upgrade. 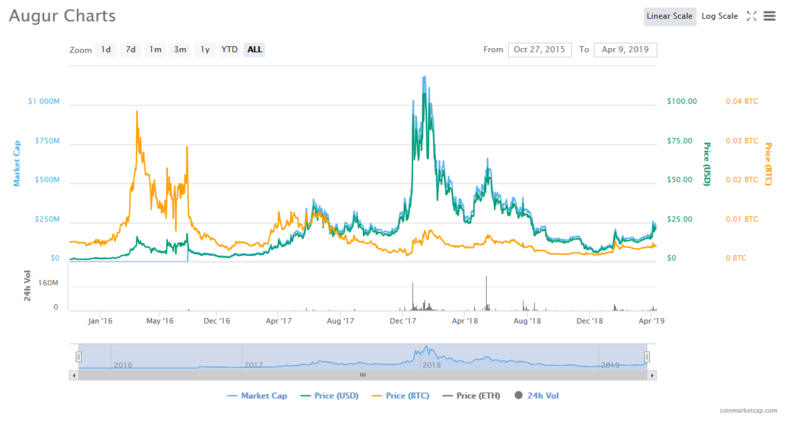 IOST is another token that saw impressive growth lately, surging over 66%. 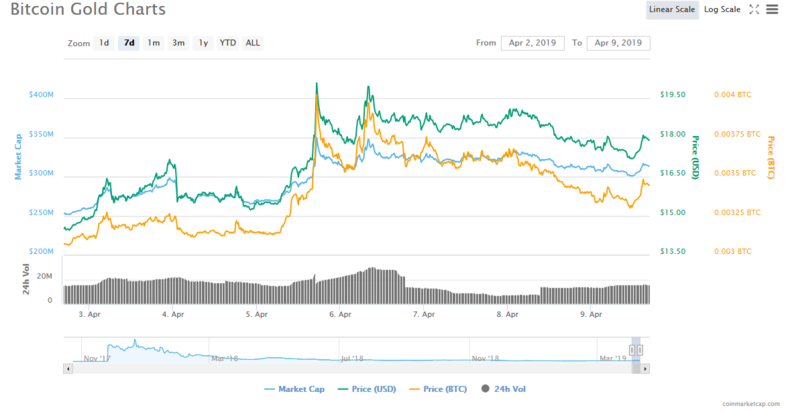 The project launched its mainnet several weeks ago and have been reporting increased growth ever since, even exceeding many of their growth milestones. The markets bullish sentiment lately surely hasn’t hurt the projects impressive performance. Additionally, April 4 saw the project announce a partnership with Tokenview to bring a new blockchain explorer. 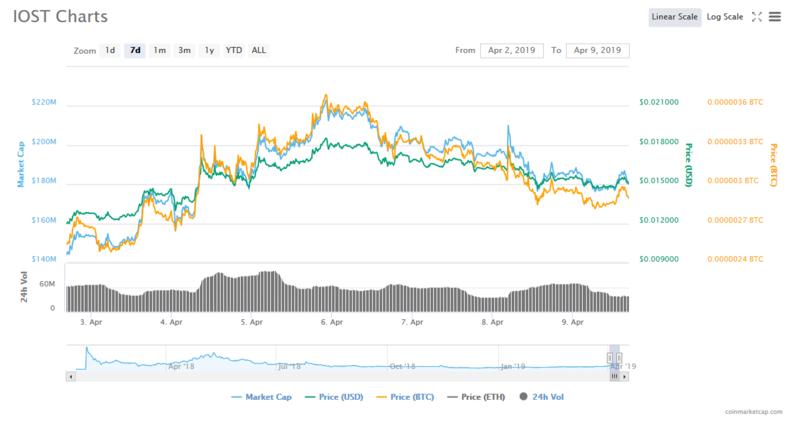 Dogecoin has remained fairly flat throughout 2019. That changed, however when the market took a turn for the better. While tapering off now, Dogecoin has shown some very healthy price action throughout the week, climbing almost 64%. During April Fool’s day, Trustnodes invented a Dogecoin hardfork that would duplicate the value of DOGE by instating a new rule which considers 1 DOGE = 2 DOGE. 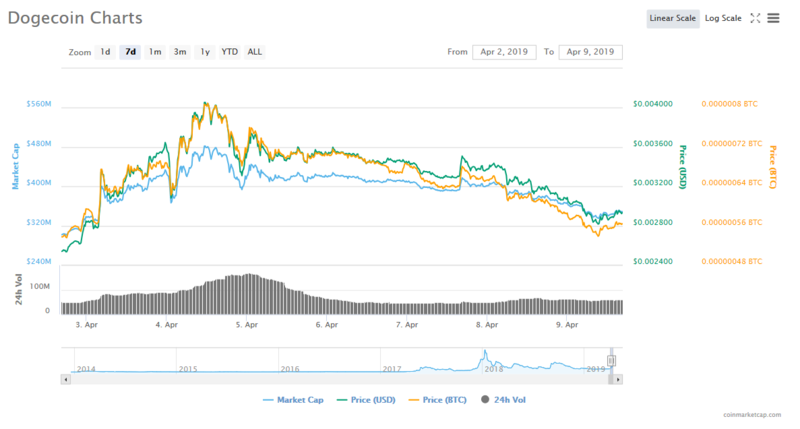 Means as nothing more than a joke, it seemed to have had a major impact on the coin’s price bringing it up by around 20%. 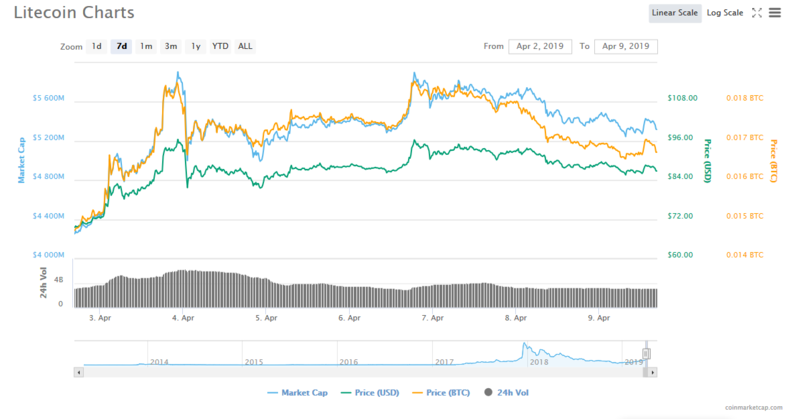 Read more: Dogecoin (DOGE) pumping hard: are traders buying into April fool's? Additionally, SpaceX founder Elon Musk made a surprise announcement, stating Dogecoin might be his favorite cryptocurrency, calling it “pretty cool.” In response, Dogecoin offered Musk the spot as CEO which he accepted before promptly stepping down. Loopring recently hit the news with announcement LRC is now tradable on exchange OnePageX, “the simplest cryptocurrency converter in the world.” Additionally, Ethereum-based technology company, ConsenSys announced on its blog on March 30 that there have never been so many promising decentralized finance tools being developed on Ethereum as there are now. Loopring was one of the projects mentioned which caused understandable excitement among its community. 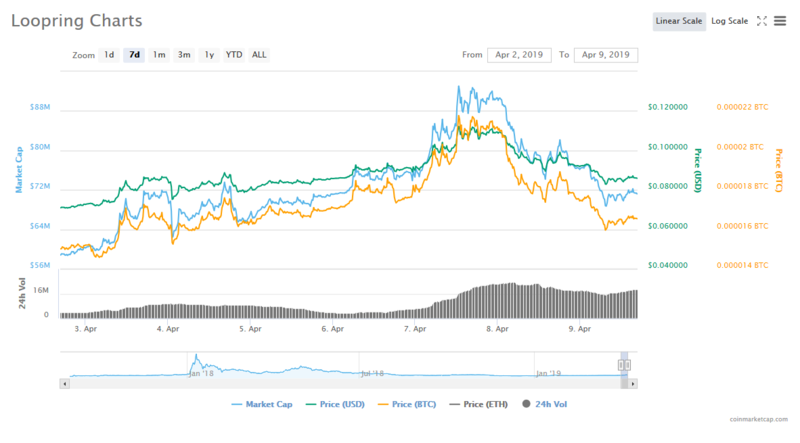 Read more: ConsenSys: " The decentralized finance ecosystem is flourishing"
Little-known project Qubitica has become one of the best performing altcoins this week, but it’s not obviously clear why. One potential reason could be the project’s involvement in Rwanda, boosting crypto adoption in the country, though this seems unlikely. There have been no groundbreaking announcements through Twitter nor its Reddit page. Like VestChain, it’s possible Qubitica’s price surge came largely as a result of the market’s rally. Litecoin was one of the best performing major altcoins during Bitcoin’s price rally, fighting for 4th position with Bitcoin Cash. While BCH ultimately took LTC’s place, Litecoin’s price action over the last week is nothing short of impressive. Up 52%, it broke its $100 barrier on several occasions. While a complete turnaround of the market’s sentiment undoubtedly played a large role in the coin’s rally, Litecoin has been hard at work improving its ecosystem by speeding up transactions and reducing transaction fees. Bitcoin Gold announced last week that Koren cryptocurrency exchange Coinbit has added support for BTG, just in time for Bitcoin’s price pump. 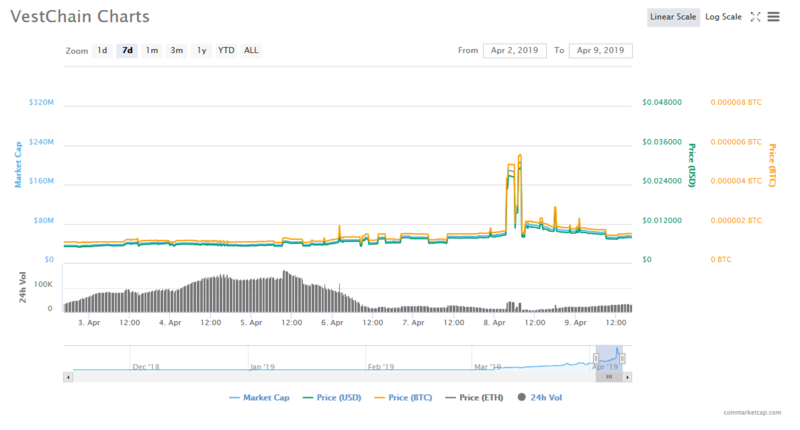 Seeing as there are no other major announcements to come from the project, it’s probably safe to assume that the combination of these two factors are what led to BTG’s 46.62% price surge this week. 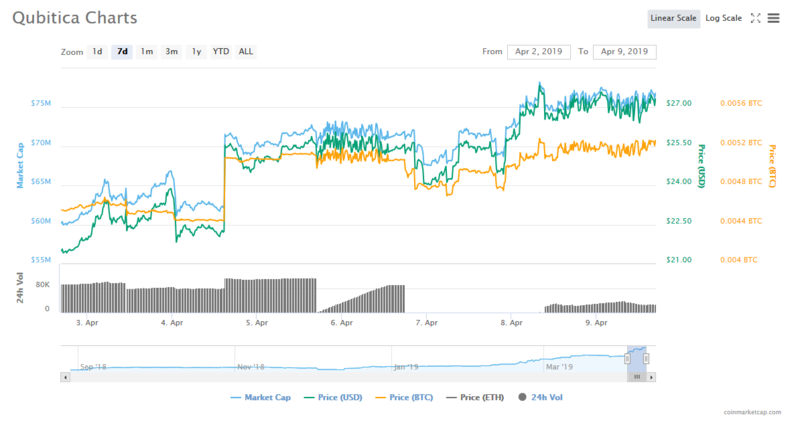 Augur recently released Version 2 “A comprehensive suite of improvements to Augur and the first major upgrade to the platform.” This is likely one of the bigger reasons for the coins 43.80% price surge this week. Another major announcement to come from the project is their launch on Coinbase Pro. 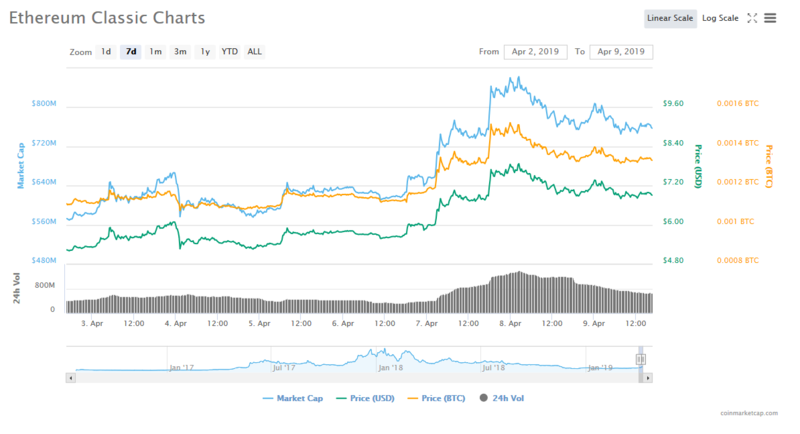 These major developments likely maintained the project’s momentum from Bitcoin’s bull run to make it one of the best performing altcoins this week. Do not take any Bonus offer from your broker or your manager, do not allow your broker manager trade on your behalf. That is how they manipulate traders funds. If you need assistance with retrieving your lost fund from your broker or Your account has been manipulated by your broker manager or maybe you are having challenges with withdrawals due to your account been manipulated. Kindly get in touch with me on (Liamdylan36@gmail.com ) and I will guide you on simple and effective steps to take in getting your entire fund back.